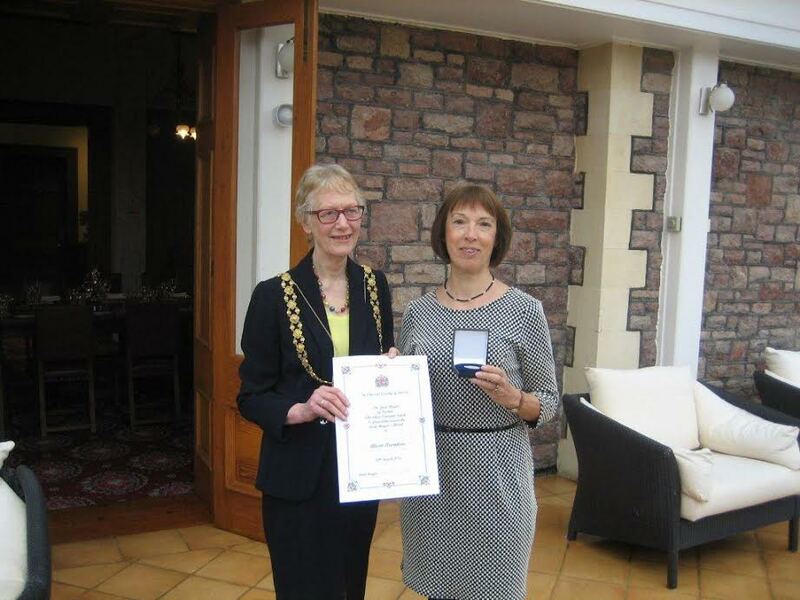 FOUNDING member and chair of the Cotham Amenity Society, Alison Bromilow, has received a Lord Mayor’s Medal. Nominated by Councillor Anthony Negus, her community work has been described as instrumental in a number of key projects in Redland and Cotham for the last 25 years. Alison first became involved in 1990 when the council threatened to close Redland Green playground. After a successful fundraising campaign, she went on to help design the play equipment that went into Redland Green and Cotham Gardens. This was the start of the Bristol Parks Forum, which she chaired for many years, and has been going ever since. An architect by training, Alison has concentrated on planning issues. She is the co-founder of Bristol Neighbourhood Planning Network, which advises people how to take part in planning developments in their area. Alison explained: “I’ve always been very keen to help community groups to start up. I explain what will make a difference and how to express their view effectively. People in all areas of Bristol now, from Southmead to the city centre, understand that they have a voice and how to ask for designs to be improved. Alison is a member of the Bishopston, Cotham and Redland Neighbourhood partnerships and she chairs and assists with the sub groups. Bristol’s Lord Mayor, Councillor Clare CampionSmith, said: “These medals are a great way of recognising the selfless work of individuals who work hard on behalf of their community. I would like to thank all of those people who submitted the nominations and also the nominees.